I go back a fair way with Gordon Strachan, as it happens. Not that he’ll remember a thing about it, naturally. That’s the way it goes with star footballers and star-struck fans; it’s a strictly one-way relationship, which is quite right and proper. Nevertheless, I can mark out the last 28 years of my Leeds United love affair in some golden Strachan moments, including one meeting (with another hopefully imminent), some landmark performances and goals from the wee maestro and, latterly, many a laugh as I’ve watched him perplexing post-match interviewers with a rapier-like wit to match his dazzling displays as a player. I remember being aware of Strachan as a young star at Aberdeen under the guidance of a grumpy Glaswegian manager called Ferguson (whatever happened to him?) who was out to upset the Old Firm monopoly in Scotland. I had a senior lecturer at Hull University at that time, who shared Gordon’s surname, but when I used it on him, as it were, he frostily informed me that it was pronounced “Strawn”. Well, that was all he knew. The name Strachan, pronounced as both Gordon and I know it should be, was to earn worldwide fame over the next decade and a half. I looked on with jaundiced eye as the clear heir to Billy Bremner‘s throne made the wrong move south from Scotland, winding up in a title vacuum at Old Trafford. He was followed thence by his old manager at Aberdeen (that’s where he got to) and, for Strachan, the writing was on the Old Trafford wall, as the great Alex concluded that Gordon’s days as a top-flight performer were numbered. These were the early days of Sergeant Wilko‘s reign at Leeds, and I yearned for Strachan to become our King Billy reincarnate, as he was unmistakably fitted to be. But it looked as though he was destined to be a Ron Atkinson capture at Sheffield Wednesday, rather than a Rob Atkinson hero at Elland Road. As we know, things worked out incredibly well; an ambitious Leeds trumped the Wendies’ offer and Strachan settled for being the driving force behind the Wilko revolution. I was working in Leeds the day the deal was done, and I saw it announced on a Yorkshire Evening Post billboard. Happy and delighted doesn’t do it justice, I walked home on air that day. Strachan was not only a marquee signing in himself, he was the statement of intent required to pave the way for other quality recruits at Elland Road. For Leeds, the only way was up – and up we duly went. Near the climax of that promotion season was Strachan’s memorable rocket-shot winner against Leicester at Elland Road, possibly the most vital goal Leeds had scored on their home turf since Allan Clarke’s winner against Barcelona in the European Cup semi-final of 1975. That Leicester goal, securing a crucial win after a goal from one Gary MacAllister had threatened to poop our promotion party, was met with one of the loudest and most frantic celebrations I can remember. Gordon Strachan attained Leeds Legend status in that moment – and he would go on to confirm it many times over. In the next couple of years, Leeds impressively consolidated their First Division status and then took the crown of Champions of England from under the noses of Strachan’s former club, Man United. As sweet as that was for all of us, the man himself still regards the Second Division title of 1990 as his greatest Leeds achievement – but his record at Elland Road cannot be classed as anything other than an outstanding success, with Strachan himself in the role of on-field Messiah. My support for Leeds was punctuated by his goals and his masterly midfield displays. That pea-roller winner at Bramall Lane early in United’s top-flight comeback, with the mighty atom celebration sitting on an advertising hoarding behind the goal. His winner at Man City, in a live TV game that had me transfixed. So many goals, so much quality. Perhaps the culmination was in the vital game at Sheffield United as the 1992 League Title battle came to a final boil. One down and in trouble near the end of the first half, Leeds were awarded a free kick and Gordon, thinking faster than anyone else, took it quickly to cause chaos in the Blades’ box. Leeds equalised, and went on to win in the second half, breaking Man U hearts and setting up that Last Champions triumph. I first met Strachan in 1995, at an event at Headingley, the same night Leeds lost at PSV in the UEFA Cup. He’d moved on from Leeds by then, but he was personable and entertaining, showing a love for the club that endured still, and giving very positive answers to questions about the possibility he might one day return to Elland Road. I got a picture with the wee man that evening and, twenty-one years on, I’m hoping to repeat the experience on Friday at Elland Road. This is when Strachan will return to LS11 for an evening of entertainment and reminiscence. Although it’s the night before Bonfire Night, we can expect some fireworks, as the Scot is notoriously almost as entertaining behind a microphone as he was with a ball at his feet. Organisers Events in the City could also be said to have selected the right man as the centrepiece for a Mischief Night event; Strachan’s play was usually replete with that particular commodity – and he’s never been afraid to speak his mind as a manager either. So, on Friday, I’ll hope to meet one of my two greatest United heroes for the second time, and maybe get another picture to add to the many memories he’s provided over the years. It’s a close thing for me, between Strachan and Bremner, the obvious similarities nicely balanced out by their few important contrasts. I only met King Billy once, and I was utterly tongue-tied in the presence of greatness. If I do get the chance to talk to wee Gordon on Friday, I shall hope to do a lot better. Watch this space. The word “legend” is bandied about all too freely in matters showbiz and sporting, but there are a handful of performers in both spheres who truly merit the accolade. One such, in the context of Leeds United Football Club at least, is current Scotland manager and former United captain and hero Gordon Strachan. It’s twenty-five years now since the red-headed Scottish dynamo lifted the last old-style Football League Championship for the Elland Road outfit, completing a miraculous revival in the space of four years from the bottom of the old Division Two to the very pinnacle of the game. 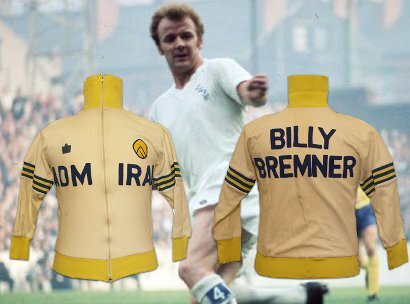 Such on-field leadership and achievement had not been seen in Leeds since the time of that other red-headed firebrand from north of the border, Billy Bremner. It is a massive tribute to Strachan that his name can justifiably be mentioned in the same breath as that of the late, great King Billy. In a world of so many sham legends, both stand proud as the genuine article. To help mark the silver jubilee of that memorable last Championship, Strachan is due to return to Elland Road on Friday 4th of November for an evening of reminiscence at a dinner event organised by Events in the City. It’s fair to say that the Scot will be revisiting the scene of his greatest triumph, although Strachan’s own take on that might surprise a few people. As far as Gordon is concerned, the greatest achievement of his time at Elland Road was not that “Last Champions” success, but rather the Second Division Championship of two seasons earlier. When Strachan was signed for Leeds by Howard Wilkinson in 1988, his brief was to be the on-field inspiration behind United’s longed-for return to the top flight. It was the fulfillment of that ambition, so keenly felt in the club itself and more widely in the city of Leeds and beyond, that really fired the former Manchester United man with pride. The fact that he went on to deny his ex-manager at Old Trafford, Alex Ferguson, a first English Title in 1992 ranks modestly second, for Strachan if not for the massed Leeds fans, to that initial achievement. But it must surely have added a piquant tang to the flavour of success that he savoured throughout his Leeds career. Anybody who followed Gordon Strachan’s career will be aware of this diminutive man’s towering presence on the football field. 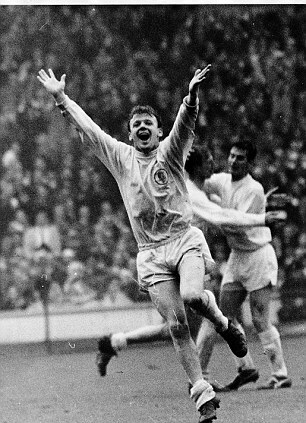 Feisty, committed and skillful, he embodied all of the qualities that had been lacking in the Leeds midfield since the departure of Bremner over a decade before. The similarities between the two are obvious; but, if anything, Strachan was perhaps slightly more restrained on the field and somewhat more waspish off it. His performances in post-match interviews as a manager have become the stuff of legends in themselves, much admired and retold. After one defeat during his spell as Southampton manager, Strachan was collared in the players’ tunnel and asked by a reporter in what areas his team had been inferior. “Mainly that big green one out there,” was the laconic response. Gordon Strachan was still providing value and entertainment long after his playing career was done, and he continues to do as much to this day. So it should be a memorable evening at Elland Road on November the 4th. 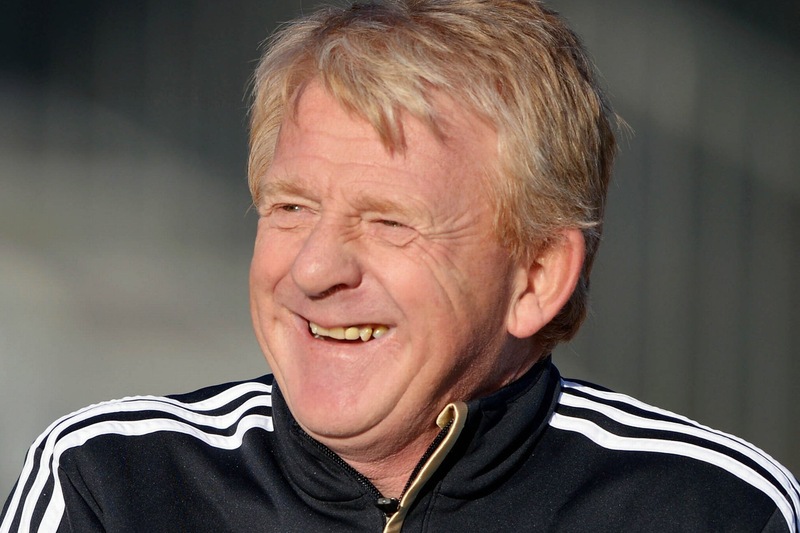 Strachan will be assured of a warm reception in a place where he is rightly revered and, if he operates according to form, he should be well worth listening to. As the event takes place just a week before his Scotland team are due to take on the “Auld Enemy” England, in a World Cup Qualifier, there is also the prospect of some heartfelt cross-border banter to enhance and add an edge to the entertainment. Whatever the outcome of the clash between the two oldest footballing rival nations, it’s guaranteed that Gordon Strachan will always be welcomed anywhere in England, where he gave sterling service to the Uniteds of Leeds and Manchester, plus Coventry City, as a player – as well as managing both Coventry and Middlesbrough. And the warmest welcome of all, in a city fiercely proud of its legends, will always await him at Elland Road, home of Leeds United FC. Two things we know well about one past and one present Elland Road personality: firstly that erstwhile Leeds United hero and current Scotland coach Gordon Strachan has a dry sense of humour that spares few, especially those who stick unqualified noses into professional football matters. And secondly, that current owner and self-styled captain of the United ship Massimo Cellino is a mess of superstitions and old wives’ tales, allowing his personal and business life to be dictated by a random mix of crazy fears and whimsical beliefs. It’s difficult not to have a wry smile, then, at the player number allocated for the first Scotland squad featuring Leeds defender Liam Cooper. Coops was handed the 17 shirt, a number that has Cellino climbing the walls to end up in the belfry with like-minded bats. That figure 17 is anathema to il Duce, along with the colour purple and various other perceived supernatural threats. It would be so in character for Strachan, that ultimate professional and put-down merchant, to use the chance to stick a metaphorical needle into Cellino’s quivering hide. Cellino is not the first superstitious character in Leeds United‘s history of course – though it goes without saying that he bears no comparison with gypsy curse-fearing and lucky blue suit-clad United legend Don Revie. But Don’s beliefs were of a gentler sort; he didn’t press them into the very fabric of the club, inviting derision from within and without. Cellino’s Leeds published a matchday programme for the visit of 17th home league opponent Notts Forest – it was numbered 16b. Beside that, Don’s worn-out blue suit, and his regular pre-match walk down to the corner near the team hotel, seem positively lovable. 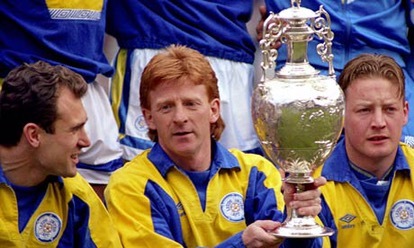 Gordon Strachan occupies his own special, permanent niche in Leeds history. He’s moved on, as heroes do, but I have good reason to believe he retains a love of the club. I met him briefly at a function at Headingley in 1995, and he was quite clear then that he could see a return to Elland Road as United manager one day. It’s not something you can envision happening, however, under Cellino’s loco stewardship. The thing is, despite the schism that Cellino has caused in the ranks of Leeds fans – some obstinately supporting the Italian in the face of opposition from the majority – there is hardly a good word to be heard for the current United owner among professional football people. People who really know their stuff, such as John Giles, have attacked Cellino’s regime bitterly. The more deluded fans in the street aside, il Presidente doesn’t enjoy much informed support – unsurprisingly, given his track record. It’s unlikely that Liam Cooper will have raised as much as a peep of protest at his dark blue No. 17 shirt. Rookie international players know which side their bread is buttered, and the Scotland dressing room will be well aware of the Boss’s waspish tongue. Once, when asked in the tunnel in the wake of a heavy defeat, “In what areas were your players inferior to the opposition?”, Strachan looked the TV man straight in the eye and replied “Mainly that big green one out there”. Wee Gordon yields to no man in the bandying of words, there’s a book to be filled with his famous and devastating put-downs. All of this leads me to believe that the issuing of that number 17 to Liam Cooper was no coincidence; that Strachan, with the pro’s resentment of the mess Cellino is making of a great club he loves, has casually aimed a barbed arrow in the Italian’s direction. I do hope it’s true, and I hope that barb has hit home to fester. The more the game can show its rejection of chancers like Cellino, the better we will all be – including the flat-earth tendency obstinately talking him up. Good on you, Gordon, let’s have more. 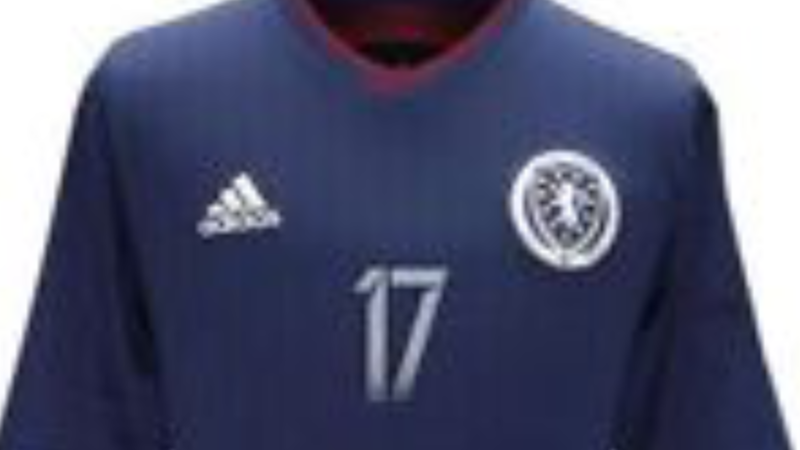 It’s believed, however, that rumours the Scotland shirt is to change its colour to purple… are wide of the mark.